Of all the modern-day political crusades in the United States, the drug policy reform movement faces the most significant public perception hurdles. Opponents frame marijuana legalization advocates as pot-smoking hippies, while decades of government-sponsored “Just Say No to Drugs” campaigns have attached a significant stigma to drug use and addiction in American society. Dr. Ethan Nadelmann is the founder and executive director of the Drug Policy Alliance, the nation’s leading organization promoting alternatives to the war on drugs. Described by Rolling Stone as "the point man" for drug policy reform efforts, Nadelmann has been instrumental in securing reform on issues like marijuana legalization, mass incarceration, treatment for drug offenders, and drug sentencing. Nadelmann spoke with PolicyMic Fellow Gabe Grand about why drug policy reform — and marijuana legalization, in particular — is about ending mass incarceration and protecting human rights. Gabe Grand: A recent study by the International Centre for Science in Drug Policy (ICSDP) concluded that “efforts at controlling the global illegal drug market through law enforcement are failing.” Are we losing the war on drugs? Dr. Nadelmann: When you look at why support for drug policy reform is growing, one of the reasons is the evidence of prohibitionist policy’s failure. Notwithstanding hundreds of billions of dollars spent on trying to enforce prohibitionist drug policies, prices generally declined while availability and/or purity increased. It’s one piece of evidence of the failure of the current strategy. There’s other evidence of failure. There’s the fact that we increased the number of people locked up for drug law violations from 1980 to recent years from 50,000 to 5 million. That recent increase in incarceration has not really affected things like price, availability, etc. What should millennials who support drug policy reform be aware of? Millennial support for marijuana legalization and other drug policy reform is playing a pivotal role in the rapid progress we’re making right now. Especially with teenagers and young millennials, it’s pivotally important that people who support [these issues]—to the extent they themselves consume marijuana or other drugs—do so in as responsible a way as possible. The thing that could trip up this momentum—and what opponents of reform are looking for—is young people taking advantage of these new laws to act in irresponsible ways. So there’s a burden of responsibility for teens and young millennials as drug policy reform moves forward. As millennials become parents, my hope is that they will avoid the almost inevitable hypocrisies that come with parenthood; i.e., when they’re young, they support policies that involve greater elements of freedom, and yet when they become parents, all of the sudden they reverse their views. I think it’s important that millennials hold on to their views even as they go through the trials and tribulations of parenthood. From your perspective, does the millennial support for marijuana policy reform appear to come from a genuine concern for social justice, or simply a desire to smoke weed with fewer consequences? Most people who are supportive of marijuana legalization don’t smoke marijuana, or if they do it’s only on occasion and not of particular significance in their life. It’s mostly not about the personal desire to smoke weed. It’s more a sense that—whether one uses marijuana or not—it’s simply not right to be arresting and locking people up or taking away their jobs or their cars. Most supporters see marijuana prohibition as a foolish government policy that is ineffective, economically costly, and appears to be counterproductive. There’s a sense that it’s immoral, as well. Is there one U.S. state in particular that’s currently setting the example for drug policy reform? I would point to Colorado and Washington. Those are the two states that voted to legalize marijuana last year, and in both states, you have the state government moving forward — mostly in good faith — to implement those new laws. What’s the difference between marijuana legalization and decriminalization? Legalization generally refers to regulating marijuana more or less like alcohol or tobacco, with maybe a stricter model. Decriminalization refers to reducing or ending criminal sanctions for drug possession. It does not refer to how one deals with the wholesale market or the retail market. It’s very important to distinguish those terms. By and large, decriminalization is an important step forward. Eleven states decriminalized marijuana possession in the 70s, and a number of other states and countries are doing so now. Decriminalization of marijuana possession has the possibility of reducing arrests, but it still keeps the market illegal. We support efforts for decriminalization where legalization is not a political option. Does the Drug Policy Alliance advocate for wholesale legalization, or just the reduction of harsh sentencing procedures? We seek to reduce the role of criminalization and the criminal justice system to the maximum extent consistent with protecting public health and safety. If you think about drug policy options as a spectrum, from the most punitive to the most free market, you can see DPA’s effort to try to move things down that spectrum, but stopping short at the point at which it presents significant threats to public safety or public health. What that means in terms of concrete policies is that, with respect to marijuana, our policy generally is to favor ending cannabis prohibition and to support various means of legally regulating it. Even if states legalize marijuana, won’t it still be illegal under federal law? Well, of course there is that conflict. That’s why the justice department memorandum a few months ago was so important. Two months ago, the Justice Department issued the Cole Memorandum, named after Deputy Attorney General James M. Cole, providing guidelines for how Washington and Colorado can move forward with legally regulating marijuana without bringing down a harsh federal response. That memorandum was regarded as a very positive development by me and most of my colleagues and allies. As I said at the time, I was expecting them to issue a yellow light, but the light was a lot more greenish than I expected. Are there any other recent developments that you and your colleagues at the DPA are excited about? I think the prospect that Uruguay will legalize marijuana in the coming weeks and become the first country to do so is very exciting. In the case of Uruguay, where you have the president of a country who’s an ally on this, you have a great opportunity. Looking at the states, Oregon has a good chance to become the next state to legalize marijuana next year. Alaska has the possibility as well. I’m excited about developments in Washington, D.C., with the city council; D.C. cannot, for various reasons, legalize marijuana, but there are far-reaching decriminalization proposals that look like they may go through. There are medical marijuana initiatives that will likely be on the ballot next year in Arkansas and Florida. If either of those passes, that would be the first state in the South to legalize marijuana for marijuana purposes. I’m also very excited by the public opinion polls. The latest Gallup poll shows that 58% of Americans favor legalizing marijuana. An increase in 10 percentage points in a year is quite a remarkable shift in public opinion. There’s also a whole host of statewide polls, both public and private, showing similar results. There are two public polls that show a majority of support for legally regulating marijuana like alcohol in Texas and Louisiana. That’s remarkably heartening. With respect to marijuana legalization on the state level, what are your priorities? In the states, especially the ones that have a ballot initiative process, you actually have real opportunities to end marijuana prohibition, as we did in Colorado and Washington. Roughly half of the states have a ballot initiative process, especially in the West. In the states that only allow a legislative process, that’s a secondary priority, but it’s important to get those bills introduced and those hearings happening. What are the chances that Congress will bring legalization to the national stage? In Congress, it’s hard to expect any significant reform any time soon. Considering the fact that even though 20 states have legalized medical marijuana, and over 70% of the country favors it, including Republicans, it’s been remarkably difficult to get Congress to do anything constructive. With Congress, we’re working on a whole host of bills, especially lining up co-sponsors for the “End Marijuana Prohibition Act.” But the stuff on Capitol Hill is more about instigating the conversation, bringing attention to the issue, and not letting Congress stay totally on the sidelines. An illegal drug habit is expensive to maintain. A single gram of cocaine can cost up to $100. Why is it that the people whom we often associate with drug addiction also happen to be on the bottom rung of the socioeconomic ladder? By and large, the likelihood that somebody would use drugs is roughly equal across different income levels. However, the likelihood that somebody will have problems with their drug use is higher among people who are lower income. One reason is that wealthy people can pay for private drug treatment, and generally don’t have to worry that much about being caught by the cops. Whereas poor people are much more likely to live in neighborhoods where police are arresting much higher numbers of people. And when poor people have a drug problem, they’re much less likely to be able to afford any sort of private treatment. Oftentimes for poor people, the only way to get drug treatment is to get arrested and get it through the criminal justice system — which is about the worst possible place to get drug treatment. In most states, criminal possession of heroin is punishable by up to 7 years of jail time and a hefty fine. Economists would call that a “strong negative incentive” for heroin use. When that threat is removed, can we expect to see an increase in the number of people who buy and sell heroin? I would look comparatively at the evidence on this issue. Take the example of Portugal, which decriminalized all drug possession back in 2001. You see no increase in drug use, and you see decreases in all of the negative consequences of drug use. You’ll see decreases in overdoses, risk for Hepatitis-C, reduces in arrests and criminality, etc. When you look comparatively at the harshness of drug laws, what you typically find is that levels of drug use are not related to the harshness of a country’s drug laws. The best book on this subject is Drug War Heresies by Robert MacCoun and Peter Reuter. Is drug use more related to socioeconomic factors? Not just socioeconomic factors — cultural ones, too. There’s an element of fashion and fad in addition to market dynamics. You look at what happened with the crack cocaine crisis in the U.S. in the late 80s. You saw use shoot up in the 80s and decline in the 90s even as the price of crack cocaine was declining and availability was remaining constant. There’s a whole range of social, economic, cultural, and market variables that affect drug use. In the 60s, you had acid; in the 80s, you had crack cocaine. 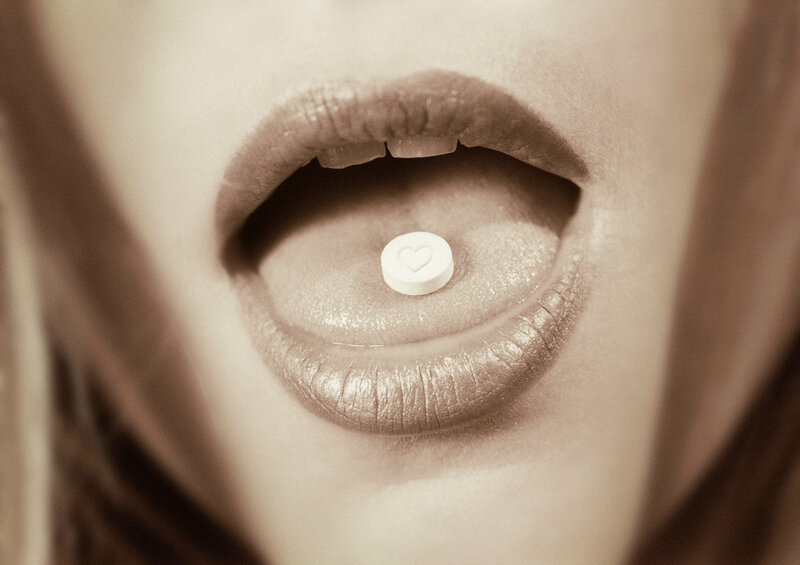 In an editorial from September, PolicyMic contributor Emma Greenberg argued that MDMA, or “molly,” is the signature drug of today’s youth. MDMA used to be marketed as ecstasy. Now, MDMA is known as “Molly.” So it’s essentially a re-marketing of the drug MDMA as sold in the U.S. What we’ve generally seen with MDMA is that it tends to go in waves. I remember there was a period of popularity in the 80s, it faded, it came back in the late 90s/early 2000s, it faded, and now it’s coming back again. So I think there’s a kind of cyclical element to the popularity of MDMA. From the DPA’s perspective, is recreational drug use ipso facto bad? We don’t see drug use as inherently good or bad. Our view of it is similar to our view on alcohol; we see the responsible use of alcohol as not a bad a thing, but we see the irresponsible use of alcohol as a bad thing. The same would be true with respect to other drugs. In a recent editorial, PolicyMic contributor James Banks stated, “The legalization movement has always been more of a pet issue of the 1% than it has of other Americans” like Sean Parker, George Soros, and Richard Branson. Do you agree with that analysis? Well no — that’s silly. When you have 58% of the American public saying they favor legalizing marijuana, that’s pretty much at odds with anybody claiming it’s about 1%. How would you respond the claim that wholesale legalization of drugs would lead to invasive drug testing policies in the workplace and employer discrimination? First of all, the notion of the wholesale legalization of drugs is such a hypothetical. We see remarkably low levels of public support for that. Secondly, even under the fairly pervasive drug prohibitions that we’ve had for many decades, we saw massive efforts by employers and corporations to employ drug testing in the workplace. Most major corporations still have some policy. With wholesale legalization, I think if anything, you’d see less use of [drug testing], not more. As marijuana becomes legalized, will we see a decline in drug testing? What we’ll probably see is that employers will be motivated to focus more on detection of impairment and less on whether somebody smoked marijuana over the weekend. I think that will be a positive development. The major flaw with most employment drug testing is that it does not really detect impairment; it’s essentially an invasion of one’s private behavior on one’s personal time. I think it’s a very minor issue. The way to think about it is to look at how alcohol is treated in American society. There are already liability debates over bartenders who allow a customer to drink too much, and then that person gets in a car accident. The answer to that question with respect to marijuana legalization will probably be quite similar to the answer with respect to alcohol policy today. With Mayor De Blasio in office in New York, can we expect to see the state legalize marijuana any time soon? De Blasio has not yet spoken out on the issue of legalization of marijuana. If he does, though, it will be largely for political and symbolic purposes; not because he can really do anything significant for the city on that front. Remember, cities do not have the power to legalize marijuana. That’s something that the state and federal governments can do. So the big issue for De Blasio is going to be how he deals with the atrocious New York Police Department policy of arresting people for having a tiny bit of marijuana in their pockets and the gross racial disproportionality in the way those arrests have happened. I feel optimistic that De Blasio is going to appoint a NYPD commissioner who is going to stop the policies of [former commissioner] Ray Kelly and Mayor Bloomberg in recent years. This article is part of a series of PolicyMic interviews with leading experts and advocates on both sides of the drug policy reform debate. Stay tuned for more!